We bring the Slow Food philosophy to life in our community. We work together with local organisations, producers and Chef Alliance members. Through a wide range of activities, we celebrate with our community traditional food culture, we showcase Scottish products, promote sustainable practices and share the pleasure of local food. 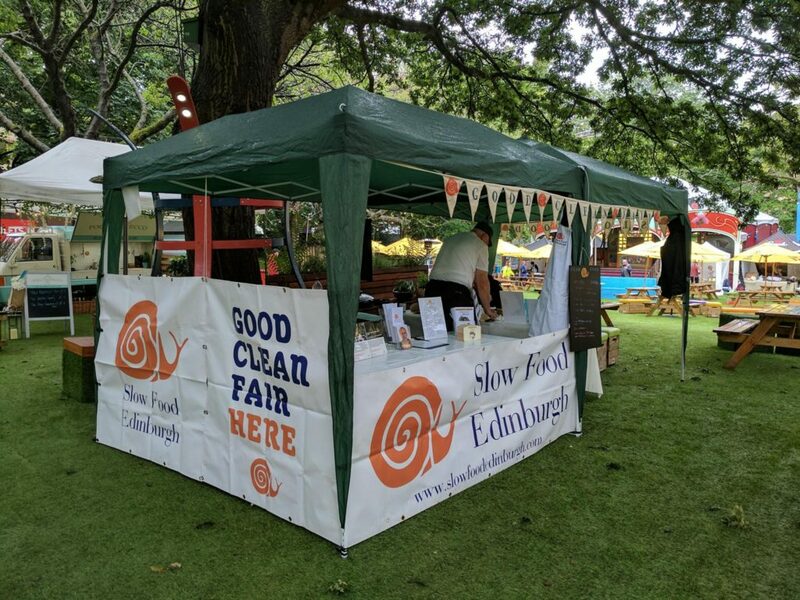 On the first Saturday of every month, we run a Slow Food stall at the Edinburgh Farmers' Market on Castle Terrace to promote the ‘Good, Clean and Fair’ message. Often, we are joined by a local chef or producer who demonstrates cooking a simple and delicious dish, showcasing local and seasonal ingredients or highlighting Ark of Taste products. Our Big Table events are hosted by local chefs and producers and provide a great opportunity to taste new dishes, learn about forgotten products and share a delicious meal with our the community. 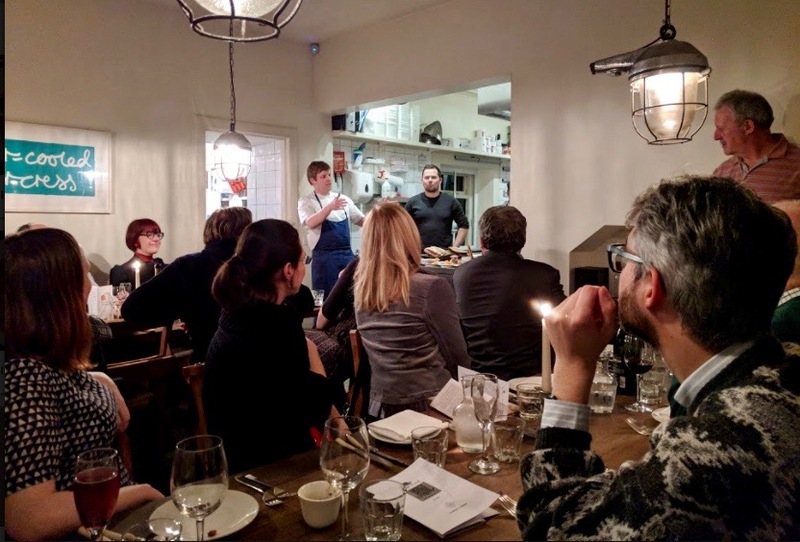 Designed to be informal, relaxed events, they're held at local Edinburgh restaurants and accompanied by talks about food related issues and the ethos of the hosting chef. 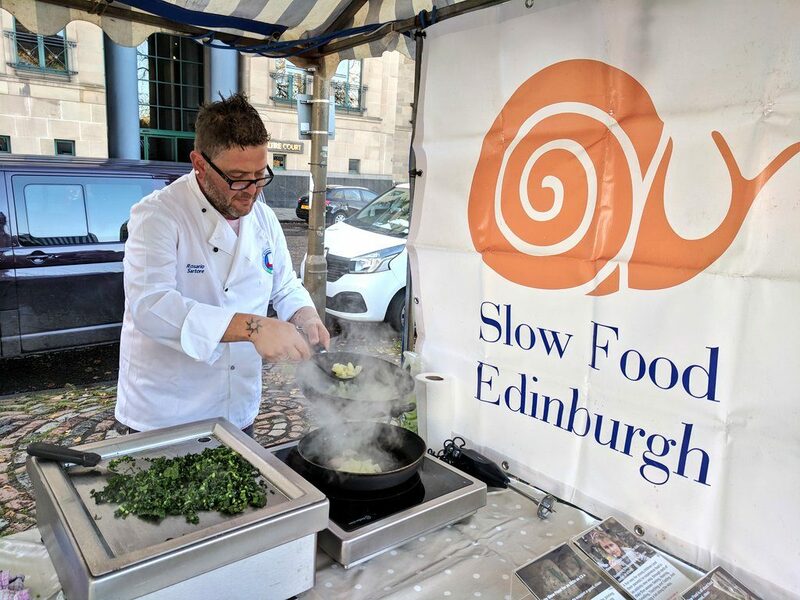 Slow Food Edinburgh has been pleased to be associated with the Edinburgh Food Festival which has been held for the past three years. 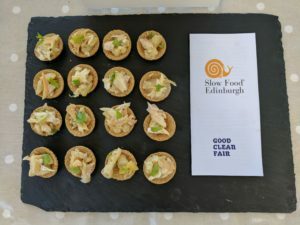 At our stall, we have been profiling Scotland’s Good, Clean, Fair food, especially the production of local suppliers and Scotland’s Ark of Taste products. 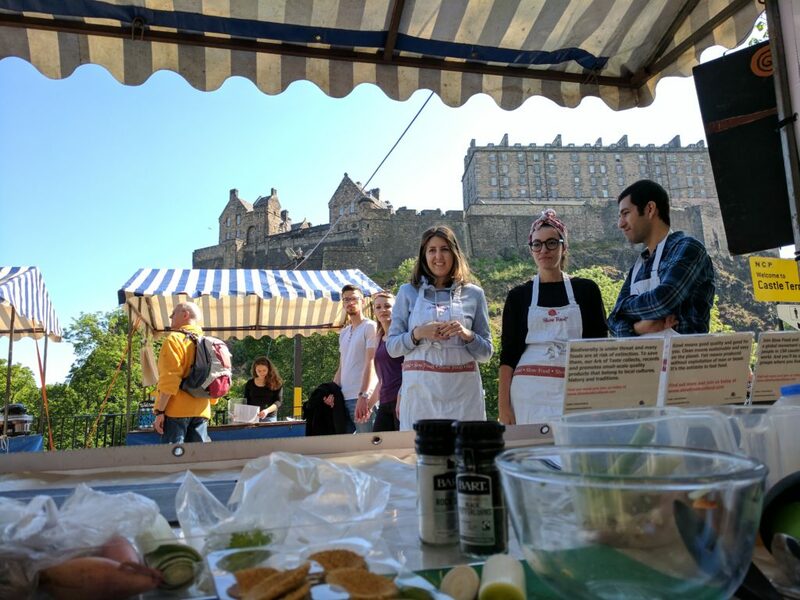 We have featured cookery demonstrations from some of Scotland’s Chef Alliance members, provided a pop-up “Picnic in the Garden” and facilitated some talks, debates, and discussions on Scotland’s Food Scene. The Food Festival has also been the venue for some Taste Adventure workshops for children. Please contact us if you are interested in supporting, supplying or volunteering at the Festival. We’re pleased to work with a number of Chef Alliance members serving good, clean and fair food in Edinburgh. 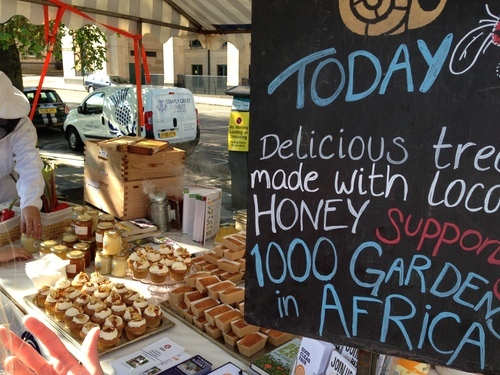 Slow Food Edinburgh is supporting the Kimashuku Garden in Tanzania. We are pleased to share with you Slow Food recipes created by Chef Alliance members and friends, often featuring Ark of Taste products.